Drawing and Designing Tattoo Art by Fip Buchanan teaches you how to create bold, original designs from a master tattoo artist. Tattooing is an art form like no other . . . indelible, wearable paintings, each on a one-of-a-kind, ever-moving "canvas." Step into the parlour with master tattoo artist Fip Buchanan as he shares more than thirty years of experience and the secrets to killer tattoo design. 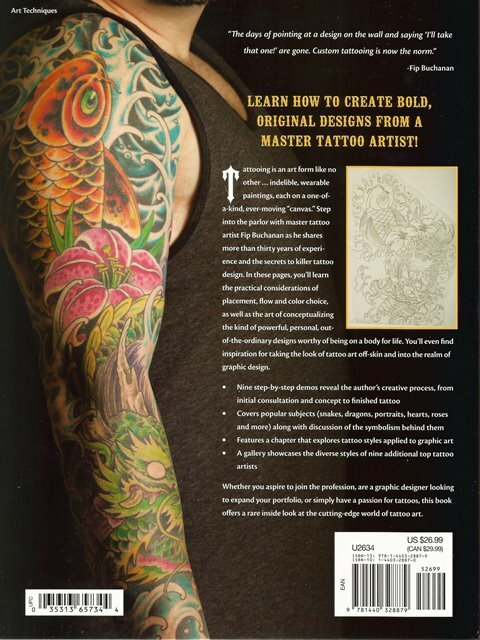 In these pages, you'll learn the practical considerations of placement, flow, and colour choice, as well as the art of conceptualising the kind of powerful, personal, out-of-the-ordinary designs worthy of being on a body for life. You'll even find inspiration for taking the look of tattoo art off -skin and into the realm of graphic design. 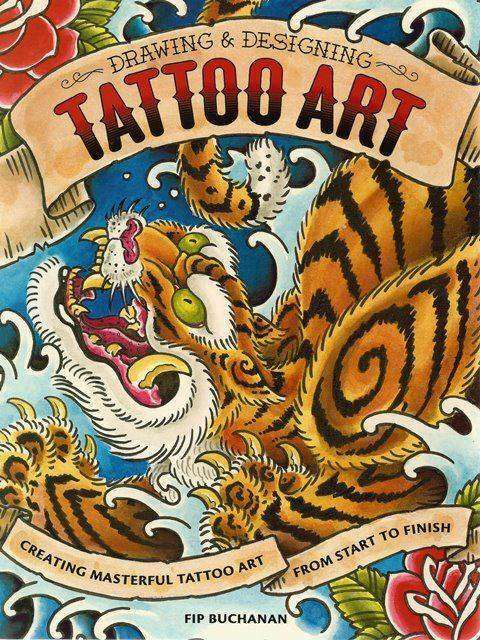 Nine step-by-step demos reveal the author s creative process, from initial consultation and concept to finished tattoo Covers popular subjects (snakes, dragons, portraits, hearts, roses and more) along with discussion of the symbolism behind them Features a chapter that explores tattoo styles applied to graphic art A gallery showcases the diverse styles of nine additional top tattoo artists Whether you aspire to join the profession, are a graphic designer looking to expand your portfolio, or simply have a passion for tattoos, this book offers a rare inside look at the cutting-edge world of tattoo art.